The desktop operating system, reimagined. Built for security, manageability, and performance. Transform your organization’s computers so they’re secure, easy to manage, and never slow down. CloudReady gives you all the power of the web—without the weight or risk of traditional operating systems. It’s an OS designed for now...and for what’s next. 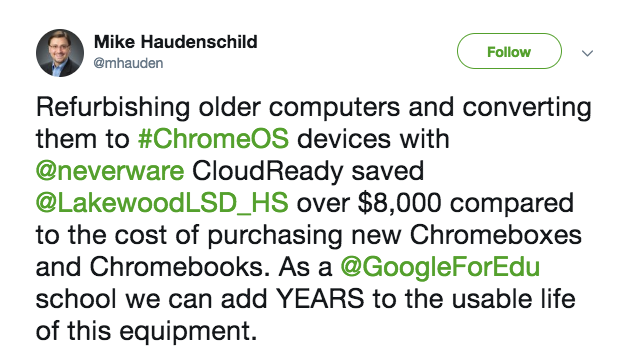 That’s why companies, non-profits, schools, and government agencies around the world use CloudReady to streamline and secure their devices when accessing web apps and VDI. CloudReady is based on Google’s Chromium OS, the same open-source architecture as Chrome OS. Whether your computers are brand new or a decade old, installing CloudReady provides unparalleled speed, simplicity, and security without hardware limitations. Leading organizations around the world trust CloudReady. An OS for the Enterprise. Designed with security and manageability at its core, CloudReady is the flexible, scalable way for organizations to deploy the Chrome environment on almost any hardware and confidently embrace cloud resources. Purpose-built to prioritize security: CloudReady provides seamless background updates, automatic user data encryption, secure sandboxing, and industry-best browser security. Enroll CloudReady machines in the simple, secure Google Admin console and manage them right alongside Chromebooks, using the settings you've already created. CloudReady is certified to run on more than 200 of the most common PC and Mac models. Avoid expensive PC refresh cycles and keep using your existing devices. Discover what people are saying about CloudReady. It's time for a new OS. No trials here: This is where you can install our free Home version. No support, no management, no cost. Speak to an expert, ask a question, get a price quote, or place an order to purchase CloudReady. 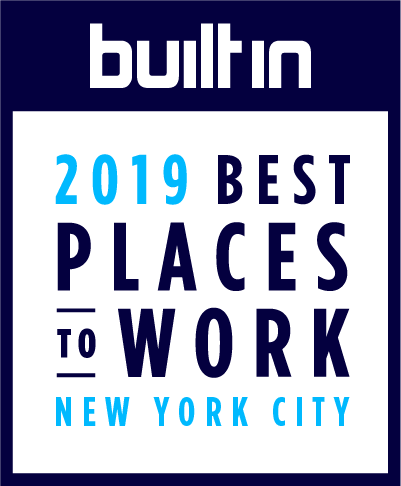 Consistently recognized as a great company and a great place to work. Sign up to receive Neverware news and updates.